Wallops Island, VA - On July 12, 2014 Orbital Sciences Corporation will launch an Antares rocket carrying the Cygnus cargo vessel to the International Space Station. This rocket will be launched from the Wallops Flight Facility on Virginia's Eastern Shore. Hagerstown, MD and southern Washington County residents will be able to view the launch after approximately two minutes into the mission by looking to the southeast. 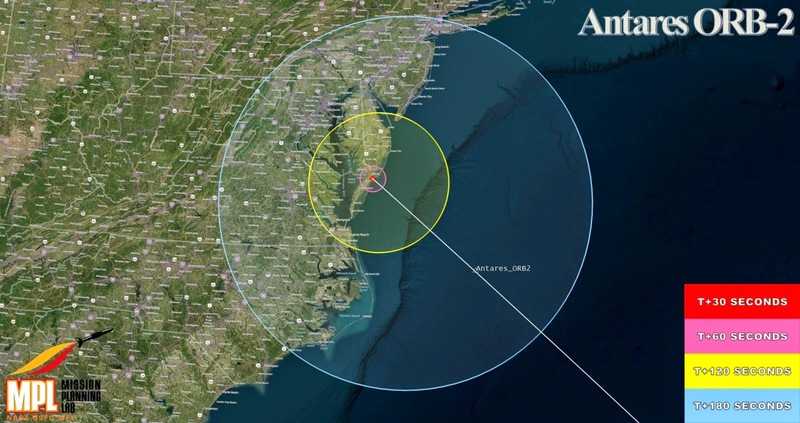 The Antares rocket will fire its engines for a total of ten minutes. Stay tuned to the Wallops Flight Facility Facebook page for updates on the launch date and time. NASA Wallops has also developed an app called "What's Up at Wallops" which provides launch updates, as well as a direction finder for seeing where a launch will be visible from in your area. The app is available in iTunes App Store and Google Play. The launch will also be view-able on the Wallops NASA TV USTREAM channel. 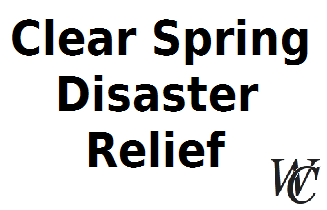 Clear Spring Flood Relief Monday June 23, 2014 5 – 9 P.M. at Chick-fil-A Restaurant 1680 Wesel Blvd. Hagerstown, MD. Chick-fil-A Restaurant will donate a portion of their proceeds towards the Clear Spring Flood Relief efforts. Please come in; have a great meal, and help our community recover. This page will be updated as information becomes available. Additional information can be found at the Let's Help Clear Spring - Flood June 2014 Facebook Group. In light of the devastating flood in Clear Spring, the following resources are available for those in need, as well as those who want to help. Those Clear Spring residents displaced by flooding are encouraged to check in at the Clear Spring High School, 12630 Broadfording Road, Clear Spring, MD 21722, to receive food and additional information. Food - Mt. Calvary Church of God is providing a FREE picnic meal to all people affected by the flood. June 13, 2014 - 6-8 pm. June 15, 2014 - St. Peter's Lutheran Church will be giving out clothing from 12 to 3 pm. There are multiple families in need of donations. These families can be donated to directly through various crowd-funding sites. Lists are available on GoFundMe and GiveForward. Note that the authenticity of these donations has not been verified, so be vigilant. Chick-Fil-A will host a fundraiser on June 23 between 5 and 9 PM. From June 12th to June 19th (10 am to 8 pm, each day), anyone who is a registered voter is qualified to vote during the early election. This is a great opportunity for residents to get their vote counted in if they are unable to make the primary election later this month. You can review the WashCo Chronicle's previous article regarding early elections at the following link. The article contains information of a "proof" ballot and detailed information on how the election works. Article is a guest post by David Malekar, who regularly contributes content to the WashCo Chronicle. The Libertarian Party of Maryland website reports that candidate for Governor, Shawn Quinn and running mate for Lt. Governor, Lorenzo Gaztanaga will have a booth at Baltimore Pride 2014. Saturday, June 14th, 2014 (from 2pm to 8pm) and Sunday, June 15th, 2014 (11am to 6pm) are the scheduled running time. Both gentleman will be available via dedicated booth. Baltimore Pride 2014 will feature many forms of entertainment with music, dining, and various festival booths, according to their website. The location has moved from previous years to the intersection of Mt. Royal and Cathedral Streets. The following link is a map of the area (Artscape normally resides at this years location). 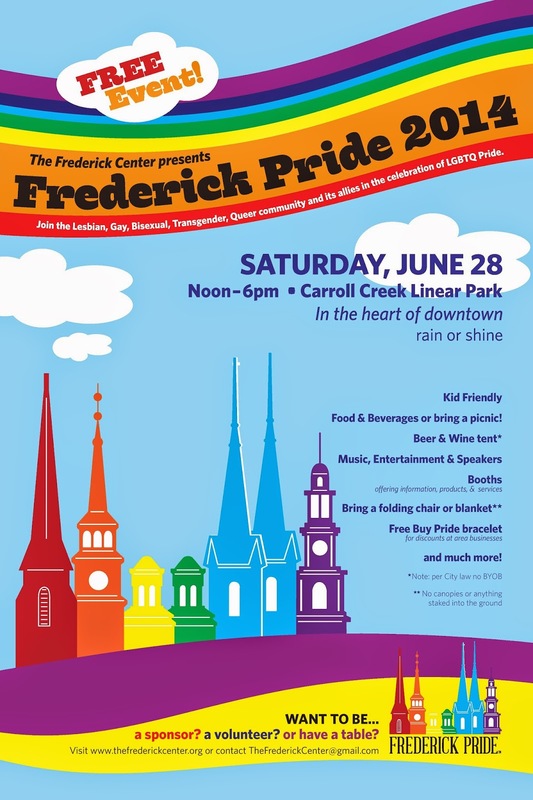 On June 28th, 2014, The Frederick Center will host the 3rd Annual Frederick Pride festival at Carroll Creek Linear Park, Frederick, MD. This is a free event to attend that will feature music, speakers, food and beverages, and much more. Parking is available in five downtown parking garages for $2. Additional information can be found at their website. You can also receive current updates and information at their facebook. Article is a guest post conducted by David Malekar, who regularly contributes content to the WashCo Chronicle. The following is an interview conducted by Ken Buckler, Editor. 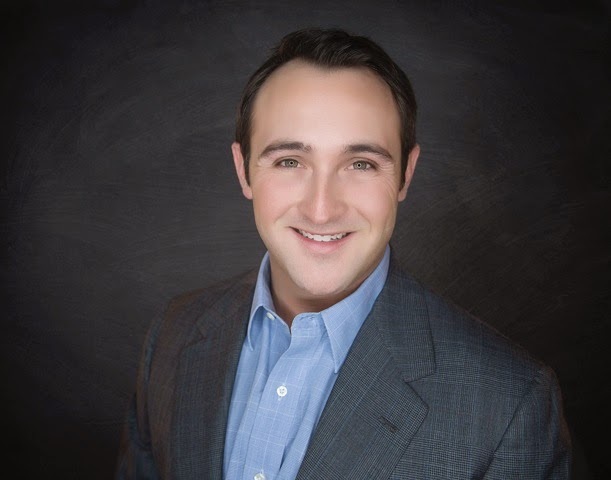 The interviewee, Ryan Richard Miner, is candidate for Washington County Board of Education. You can contact Ryan through his website or Facebook page. Many thanks to Ryan for agreeing to this interview! KB: Ryan, thank you for agreeing to this interview. To start, could you tell us a little about why you feel you're qualified to be on the Washington County Board of Education, and what you hope to accomplish in office, once elected? RM: Thank you, Ken. I appreciate the opportunity given by the Washington County Chronicle to discuss my candidacy. My passion for education began to bloom while I was student at Williamsport High School. I was a music student for all four years. My deep devotion and love for music continued to grow, and moreover, I had a fascination with the way music was taught in our public schools. I was honored to be the drum major of the Williamsport High School Blue Band during its fiftieth milestone in 2001. I even won Maryland’s Best Drum Major at a state competition in 2002. My passion led me to audition for the prestigious Peabody School of Music in Baltimore (I am saxophonist) and the Mary Pappert School of Music at Duquesne University in Pittsburgh, PA, one of the United States’ top ten music schools. I chose Duquesne University for its robust academic curriculum and for the urban Pittsburgh setting, and my decision was final: I was majoring in music education at Duquesne University! I spent my first year of college at Duquesne University in an extremely rigorous curriculum learning music and the pedagogy of teaching. At the conclusion of my freshman year of college, my interests shifted and I decided to instead pursue my degree in political science and focus my efforts on public policy and being part of the legislative process with ambitions to one day, as I envisioned then and now, to affect education policy. I graduated in 2008 from Duquesne University with my Bachelors of Arts degree in political science and economics. Shortly after graduation, I was offered a job with a United States Congressman from Pennsylvania. I moved to Capitol Hill in July and began my journey as a Congressional aide. I had many opportunities in the political, technology and business communities in my career thus far. I worked for a political consultancy firm based in Chicago where I traveled the country working with political campaigns and grassroots organizations. I had the opportunity to work again in Washington as a corporate communications consultant for a startup tech firm in the fall of 2012. And in the spring of 2013, an opportunity presented itself and I was offered a position with our local, family business, Cumberland Valley Heating and Air Conditioning, as the Chief Development Officer. I handle complex budgets, marketing and advertising buys, and I make careful financial decisions each and every day, rooted in facts and analytics. My professional background in business and public policy has prepared me to analyze a $300,000,000 budget and draft policy for our school system. I am currently a board member for the Brooke Lane Foundation and raise funds to help Brooke Lane successful combat mental illness in our community. 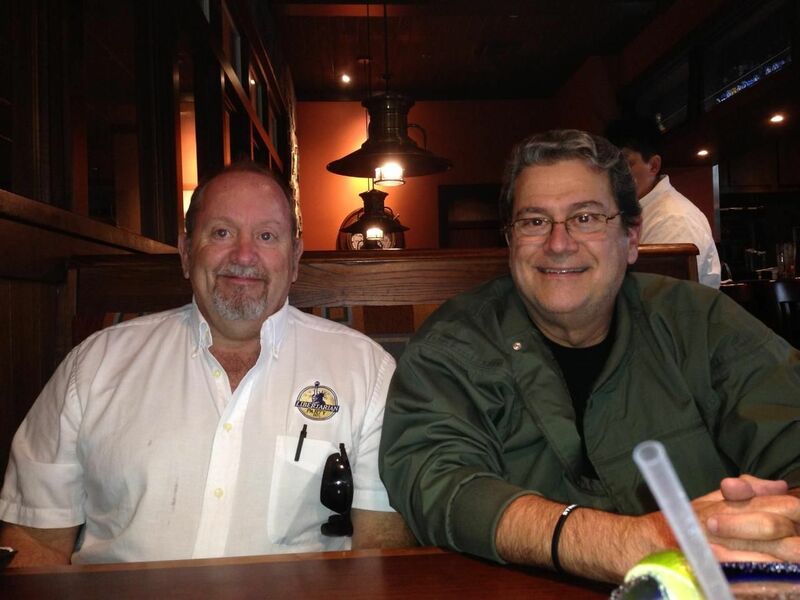 I am a member of the Hagerstown Rotary Club. I volunteer with the Humane Society of Washington County and the Alzheimer’s Association. I am a former substitute teacher in Washington County. I am a soon-to-be member of the Halfway Fire Company and I proudly served my nation as a Pennsylvania Army National Guardsman. I am a former member of the Hagerstown Municipal Band and the Williamsport Community Band. I believe my leadership skills coupled with my background in business, technology, public policy and communications will be a valuable and diverse addition to our board of education. KB: What is the most important issue facing our county schools today, and what do you plan to do to address the issue? RM: I believe the implementation of Common Core in Maryland and the subsequent effects of the new standards on both educators and students is considerably the most pressing issue as of current. In 2009, the National Governors Association and the Council of Chief State School Officers partnered with Achieve Inc., a nonprofit that received millions of dollars from the Bill and Melinda Gates Foundation. Bill and Melinda Gates essentially bankrolled the efforts behind Common Core and continue to make a push for using our children’s personal data without regard to privacy concerns from parents. Thus, the initiative seemed to spring from the states, but in reality, it was contrived by an insular group of education testing executives with only two academic content specialists. Neither specialist approved the final standards and the English consultant publicly stated that she felt the standards provided students with an empty skill set. Educators and administrators were later included in the evaluation and feedback groups but had no seat at the table when drafting the standards. Many educators agree that rigorous is a buzzword. These standards are not rigorous; they are just different, designed for an industrial model for schools. Incidentally, Congress never voted on Common Core and states were handed Common Core without actually voting to adopt the final product. Nevertheless, Common Core emerged. The president essentially coaxed states into joining with Race to the Top taxpayer dollars. Much like No Child Left Behind, the program promises national testing. Most importantly, these standards illustrate mistrust in teachers. These subjective, anxiety producers do more to damage a teacher’s self esteem than we have yet to understand. Erroneous evaluation coupled with strategic compensation is a punitive model that has no place in our system. I believe that standards-based education is ruining the way our teachers teach and how our students learn. Teachers teach to inspire creativity. Teachers teach to free minds. Teachers teach to equip us with knowledge. But how far are we going to go with data-driven education? Education is unlike every other bureaucratic institute in our government, because the task of teaching is never quite quantifiable. What can I do about Common Core? To be candid, I can do very little as a board member to stop Common Core in Washington County because Common Core is state law. However, I can work with our state legislators and our Washington County state delegation members to submit a series of waivers to opt out of Common Core or in the least, delay its implementation so teachers can figure out how to teach to the standards. I have the political background and more importantly, the political acumen to lobby on behalf of our students, parents and teachers and work with our state legislators to fix many of the implementation problems we are currently experiencing and will experience in the future, especially given the needed upgrades in technology. I value my professional relationships with our Maryland legislators, and I will carry the feelings and sentiments of our Washington County school system to Annapolis and work on behalf of Washington County. I cannot single handily stop Common Core in Washington County, but I can use my insightful political knowledge to lobby against the destructive force that Common Core has become. KB: Do you plan to increase student interest in Science, Technology, Engineering and Math (STEM) education? If so, how? RM: I value our Science, Technology, Engineering, Math (and Medical) (STEMM) program in Washington County. Citing Hagerstown Community College’s website, “HCC and Washington County Public Schools have established a STEMM (science, technology, engineering, mathematics, medical) Technical Middle College which allows college-ready high school students the opportunity to earn college credits and credentials while completing their high school diplomas. Through the STMC, each student will be given an opportunity to earn at least 30 college credits, and many will be able to complete requirements for certificates and associate’s degrees by the time they graduate from high school. 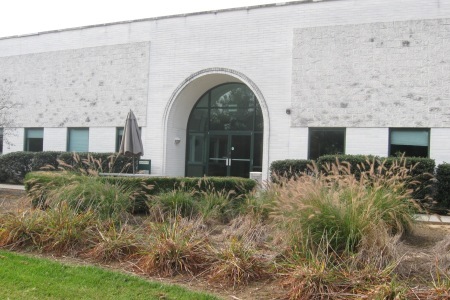 Students in ninth and tenth grade are enrolled in the STMC, as recruits, and must take significant math and science coursework at their “home” high schools to prepare them for their junior and senior years as students in the middle college on the HCC campus. In the fall of ninth grade, appropriate students are identified as STMC recruits and must plan and complete rigorous coursework at their home schools in preparation for their junior and senior years at HCC. These are typically upper-level math and science courses. I am a major proponent of the STEMM program in Washington County. I recently visited Hagerstown Community College for a Rotary luncheon featuring STEMM students discuss the program. I am fully convinced that this program is a major step in the right direction for our community as it allows students advanced opportunity to operate within the framework of an applied curriculum in their career choice. As a board member, I will be a champion of the STEMM program and similar programs in our school system and will work within our community to promote this particular educational model. KB: You've been very open throughout your campaign about the mistakes of your past. What do you feel is the most important life lesson you've learned from these mistakes? Do you feel the lessons you've learned from your mistakes have helped to make you a better candidate for Board of Education? RM: My goal is to offer the full picture of who I am as a person. When a candidate begins exploring the notion to run for public office they must understand that nothing about their personal life is off limits or private. There is a memorable line from one of my favorite movies, “The American President,” when President Andrew Shepherd (played by Michael Douglas) tells his Chief of Staff that his personal life is not the business of the American people. His Chief of Staff (played by Martin Sheen) quickly reminds the president that, “the American people have a funny way of deciding on their own what is and what is not their business.” I understood from the outset that my personal indiscretions would be aired in public and detailed, scrutinized, deliberated and used against me in every conceivable way possible. I was prepared when I began my campaign to address the questionable issues of my past and more importantly, I was prepared to offer our public the full window into my life. Yes, I did plead guilty to driving while under the influence of alcohol in 2013. That was an error in judgment. And yes, I was accused of a simple assault charge in 2008 as a result of a college-related relationship. Many people have apparently read the charging documents and have read some very descriptive actions on my behalf. None of which were true and were ultimately proven false in court. Both incidents have been fully deliberated. These issues are now behind me. My family and I have moved on. I am not proud of my mistakes because I realize my judgment should not have lapsed. I have taken full responsibility for my actions. My mistakes do not define who I am today, nor will they define the person for whom I will be when I am elected to our Board of Education. I have learned some valuable lessons, and I will never repeat the same mistakes twice. My mistakes are humbling. I have been brought to my knees in prayer hundreds of times to ask for forgiveness. I struggle with how I am publicly perceived because anyone can read an old court document with baseless allegations and decide who they think you are. I struggle deeply when people do not give me a fair shake. People rush to label me as something I am not. It truly hurts. It is painful beyond words. But I have learned to channel this negativity into positive action. The most potent lesson I have learned from my mistakes is to carefully measure and judge every action I take. I have learned to never judge anyone until I have walked in his or her shoes and have taken their life path. I have learned to forgive and carefully select the people in my life who are true friends. Politics will often grow the seed of skepticism and cynicism. Once someone experiences the pressures of running for a public office, I believe they develop a greater appreciation for basic human decency. At least I have. Most importantly, I learned how to be a better son and grandson. I learned how to be a better spouse to the love of my life, Kim. And I learned how to be a better man. Mistakes never define you unless you allow them to consume you. When you make mistakes, accept responsibility, own them, get out of bed, put your pants on, and walk forward and keep your mind on the life you want to live. Don’t look down at your shoes unless you have an accident. Keep moving forward. One day I will have a conversation with my Lord as I pass by St. Peter’s gates. I can only ask my community for the opportunity to prove worthy my candidacy. I may not win some votes because of my personal mistakes, but in the least, I hope I can earn respect for offering my ideas for a stronger education system. I believe how a person handles their mistakes is a testament to their personal resiliency and character. I am a human being. I falter and sometimes fall off the righteous path. I get back on the path and find my way. I have developed a few incessant naysayers who enjoy highlighting my faults and flaws, especially on social media, while asserting I am not fit to be a school board member. I think that is really unfair considering that most of them have only “heard things” or “read things” about me and have not taken the time to really get to know me. To be honest, that hurts the most and it causes me the most personal anguish. Total strangers have launched some very hateful words towards me based on very little information or fact. I lose sleep over that. It hurts me to the pits of my soul. If anything, I think I can set an example for students and offer my guidance about life, choices and consequences. I think my past has changed me entirely as a person. Mistakes also require responsibility, and it’s my cross to bear each and every day. Complete strangers constantly make me aware of my personal failings. It is part of the process of politics, and I accept that, and it is every reason why I have to get out in front of my personal failings and work exponentially harder in my life. I hope I can guide students to achieve academic and extracurricular success while they are students in our Washington County Public Schools. I learned the value of humility because I experience it every single day of my life. I have a real sense of compassion and understanding for people who make mistakes and desperately want their second chance. I want our students to be prepared for the real world. I want our students to learn to make socially acceptable decisions. I want students to understand that social media is a force multiplier and whatever they say to others in this very public setting has a real possibility to affect every aspect of their lives whether it is a hurtful comment to a foe or an innocuous joke to a friend. I believe I exhibit a true genuineness and understanding of children. I will use my experiences to work extremely hard and be a visible force and a positive role model for our students. My community has given me a second chance to do something positive, and my passion is to give back and help our students achieve personal success. KB: There's a lot of debate on "zero tolerance" policies vs. giving students second chances for mistakes. What are your thoughts on this? RM: There has been a lot of debate about zero tolerance and second chances. Every issue has a background, a genesis. The most important job that an educator and school official has is to be a listener and observer. We have to ask students honest questions. We have to find out how they learn and why they make the decisions that they do. If a student makes a wrong decision, educators have this awesome ability to use their experience to foster a student’s future for success. Educators are guiding lights; they are lighthouses for our students and a major part of their responsibility is to observe by listening and grasping the issues that our students experience daily. Life is not fair, but we do our best to judge each situation on a case-by-case basis. Zero tolerance can work in both theory and concrete application, but when an incident occurs in a school, be it behavioral or academic, I have no doubt that each administration will approach it fairly, consistently and without personal bias. Our schools handle every imaginable issue inside of their walls. Issues from academic dishonesty, drug-related issues and bullying are real and occur more often than we think. Our school system must facilitate an environment conducive for learning that is free from distraction. Our administration and school counselors are trained professionals who solve problems and find solutions to pressing social, academic and behavioral issues that our students experience each and every day. We set high expectations because we want our students to achieve total success. But like our administrators, teachers, parents, family, etc., they too will come up short at times and they will endure the consequences of their shortcomings. Students must understand that there is a “real world” with real consequences outside of their schools, and with every decision they make, a consequence will follow. As a board member, I hope to be part of a team who sets policy for our superintendent to implement that will help our students excel both academically and socially, reaching the pinnacle of their personal success before entering the workforce or post-secondary education.